Starting from the center of Saint Rémy with your guide, you stroll along country lanes and then up through the spectacular Alpilles Mountains. A rocky trail leads to a rounded summit, where the 360° view -- on a clear day -- extends all the way to the Mediterranean Sea. We return to Saint Rémy where we'll visit the monastery-turned-asylum where Van Gogh spent the last year of his life, and depending on the season we’ll enjoy a tasting of some of the region’s famed olive oils. 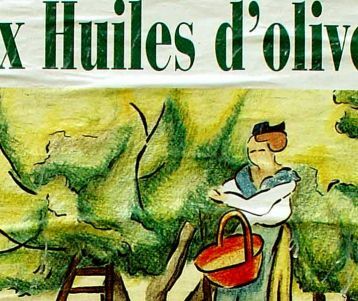 Wednesday & Saturday are the BIG morning market days in St Remy ! Allow for some time to soak up the market ambiance before meeting your guide. 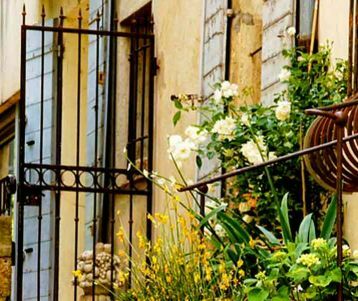 Starting from the center of Saint Rémy, you stroll along the country lanes and landscapes that inspired Van Gogh during his stay in the village. Behind the last of the houses, and the last of the olive trees, you begin a pleasant climb up a shaded and winding track, up a valley laden with pine and cedar trees. Before long you reach the crest of the Alpilles Mountains. From here a rocky trail leads upwards through brush of thyme and rosemary to a rounded summit. Though only 350m in altitude, you’re in an otherwise flat Rhône Valley, and the 360° view is simply jaw-dropping: to the south the village of Les Baux de Provence sitting defiantly atop its rocky crag, overlooking a vast olive grove, and beyond the flatlands that roll out to the Mediterranean Sea. To the north Avignon’s Pope’s Palace is easily seen, villages dotting the plains, and a backdrop of Provençal mountain ranges including the majestic Ventoux. Our return journey takes us down another path, and we exit the mountain and into the famed olive groves that blanket the foothills. 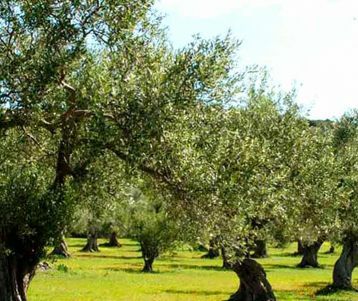 We’ll visit the St Paul de mausole monastery-turned-asylum where Van Gogh spent the last year of his life, and depending on the season we’ll enjoy a tasting of some of the region’s famed olive oils (on opening days only). Depending on our pace we will be back in Saint Rémy and finished by 3 to 4 pm. The walk is 10km long in total, and you can expect up to 3.5 of walking time along the trails. Access may be restricted in the Alpilles mountains if the risk of forest fire is high. There is a risk that the paths may be closed altogether. Information is available from 6:00pm for the following day from the local prefecture by telephone (automated message).